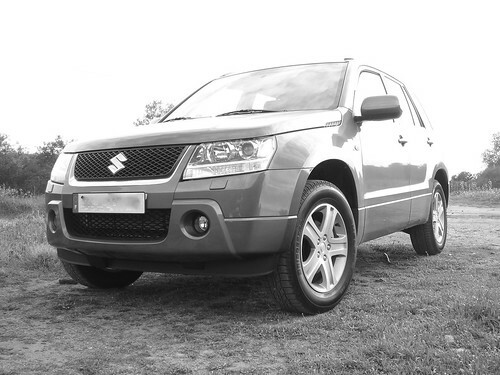 The Suzuki Grand Vitara is often overlooked in the compact SUV market. This SUV is one of the most affordable family vehicles on the market, and there are plenty of optional features available. Buyers can choose from 2-wheel and all-wheel drive, seven different exterior colors, and three distinct trim levels. The Grand Vitara is an capable off-road performer, built to withstand wear and tear unlike many other vehicles in its class. The base trim Grand Vitara comes with air conditioning and automatic climate control, power windows and door locks, driver information display, and a voice-activated touchscreen navigation system. The uplevel Premium and Limited trims add cruise control, heated outside mirrors, and privacy glass. The Limited trim also features chrome bodyside accents, 18-inch alloy wheels, and a premium 7-speaker sound system. Buyers can add a rear camera as an optional feature on any trim, and the Limited version comes with heated, leather-appointed seats. The rear seats are 60/40 fold-and-tumble, the steering wheel contains remote audio controls, and the interior trim accent is satin nickel. The 2013 Suzuki Grand Vitara comes with a 2.4L, 4-cylinder engine that delivers a total of 166 horsepower. The model’s suspension is independent, the vehicle can tow up to 3,000 pounds, and the base trim comes with a 6-speed manual transmission. Uplevel trims are automatic transmission with the option of rear-wheel or 4-wheel drive modes. With slightly less horsepower than many of its competitors, drivers will notice the lack of power when rapid acceleration is needed, but the Grand Vitara performs extremely well over uneven terrain. The ride is not quite as smooth as some of the competing models, but the suspension is calibrated specifically for the boxy, square shape of this vehicle. The 26 mpg highway fuel efficiency is below average for this vehicle segment. The Grand Vitara comes with the latest in traction control and electronic stability control. The Bosch® anti-lock brake system is included on all trims, and the Grand Vitara has brake assist, a tire pressure monitor, and daytime running lights. The vehicle is equipped with 3-point seat belts in both the front and rear seating areas. The front seat belts are height-adjustable with pretensioners. The rear doors have child-proof locks, and Suzuki has included child safety tethers and anchors for use with booster seats. The model is built with side-impact door beams and a cleverly designed energy-absorbing trim on the roof. The Grand Vitara comes with remote control door locks and panic function, and includes the Smart Key™ keyless start and entry system. The information display gives the driver notice of low fuel as well as warnings about icy road conditions. The main complaint heard from consumers is the relatively ancient appearance of the vehicle. While is it true that the 2013 Grand Vitara seems at first glance to be a relic from the turn of the century, those who investigate it fully will be impressed with its spacious cabin, long list of convenience features, and good safety record. The Grand Vitara’s tag is competitive, starting with a MSRP of $19,949 and model holds its value better than many folks would expect. Another selling point for the model is that Suzuki offers America’s best warranty, which is 100,000 miles/7-years and is fully transferable. 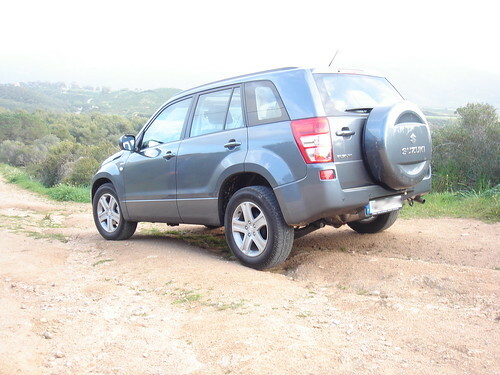 The 2013 Grand Vitara is worth considering if you want off-road capability, a lengthy warranty in a compact SUV. For more information, please see the Suziki website. But act fast; Suzuki has announced they are discontinuing sales in America. This may present solid buying opportunities with the guarantee that the warranty will stay intact.